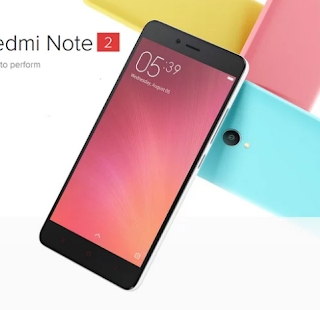 Flashing ROM MIUI Stable on Xiaomi Redmi Note 2 / Prime without PC - Actually, tutorial to flashing, reinstall or update MIUI ROM on Xiaomi redmi 2 note can be done by using some ways, but in this tutorial we are going to help you to flashing it without PC. You need to know that flashing ROM is needed when you face the problems such as bootloop, crash, hardbrick etc. Flashing is the last option when finally your phone is still stuck on logo or can not enter to the homescreen menu. Okay, we hope this tutorial is useful for those who need it and can work properly on your phone when you follow the instruction carefully. Download Xiaomi redmi 2 Note ROM (official) in the link we have provided! Just in case, just download stable version and download full ROM! After finish downloading, use manager file to rename "miui_HMNote2_Vxxxxxxx.zip" becomes "update.zip"
Navigate by using volume button up or down, select English! After that select install update.zip to system. Select Yes, and wait until the process is finish. Reboot your phone, and done. After your phone is on, there will no Play Store on your phone, therefore we suggest you to download and install Gapps apk (download it from the link we have provided). After that you can install Play Store, Gmail and the others. Belum ada tanggapan untuk "Flashing ROM MIUI Stable on Xiaomi Redmi Note 2 / Prime without PC"